Embark on a voyage aboard the Venice Simplon–Orient-Express and become part of its glorious, ever-changing history. Travelling between some of Europe’s most iconic cities, the Venice Simplon–Orient–Express embodies so many of the elements that make Europe such a sought-after travel destination: beauty, refinement, history and culture. Savour the beautiful surroundings, the opulent interiors, three art deco restaurant cars, the bar car “3674”, sparkling crystal, plush fabrics, and polished woods. This fantastic journey combines the best of old-world opulence and charm with the finest of modern amenities. Royalty, celebrities, spies and courtesans have all travelled on this first-class train, making it a rich source of inspiration for books and films. Today, the gleaming carriages of the Venice Simplon-Orient-Express continue to carry passengers across Europe in exquisite surroundings on some of the most romantic journeys in the world. Travel on one of the most famous and iconic luxury trains in the world. 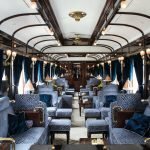 Spend your day in the glamorous carriages: the golden age of travel may have been in the Roaring Twenties, but the art of voyaging in style is still alive and well today. 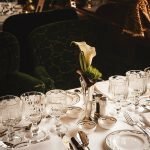 The highest levels of personal service are offered on the Venice Simplon-Orient-Express. Venice Simplon–Orient-Express offers a variety of journeys ranging from one to five nights. The train departs London or Paris to Venice and returns from Venice on selected days. Venice Simplon–Orient-Express also offers Paris to Istanbul–Istanbul to Venice trips. 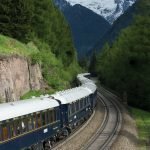 Travel and overnight accommodation on-board the Venice Simplon-Orient-Express (twin, double, single, cabin suite and grand suite available). Dedicated steward service called by a bell. All meals: breakfasts, lunches and dinners. Music played by the resident pianist in the Bar Car.